Welcome to the Woodstock Area Job Bank – serving the community of Woodstock, Vermont USA and surrounding areas. We are here to connect individuals and businesses with members of our community who are seeking work and volunteer opportunities. If you are looking for work, or are seeking workers, then we encourage you to explore the opportunities available to you in your own community. Our services are free to all and we are eager to connect members of the Woodstock area who are ready to…get the job done! We welcome job-seekers and volunteers of all skill levels, backgrounds and abilities. Likewise, we welcome employers of any kind – there is no job too small! Looking for some Bright Ideas? Click here for our latest Educational Opportunities – old dogs can learn new tricks! There’s something for everyone – job skills, master gardening, computer skills, high school courses, welding, nursing and more! ** Don’t be discouraged by tuition fees – many programs offer discounts and scholarships for individuals in need. Take a class…it just might change your life! You never know what’ll happen – or when. 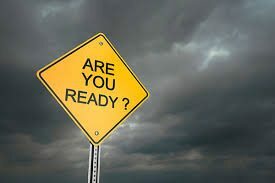 Take a look at this handy emergency preparedness guide from the town of Woodstock. Click here for the two-page guide.